When you are looking for exceptional medical personnel who is able to provide the care, the support, and the services your patients decide for then there are a number of factors to consider. This is because there are many different kinds of healthcare providers you can hire and they are not made equally. 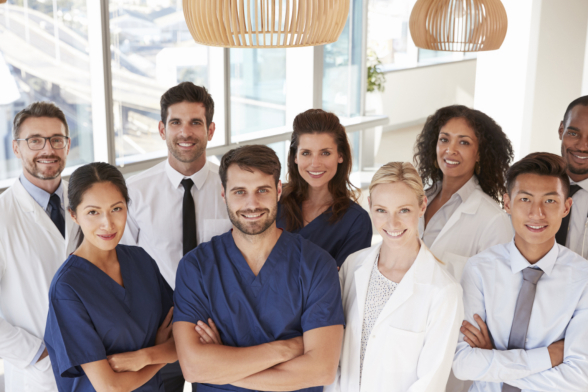 It is important to make sure that you are hiring the best of the best because your staff is what determines the quality of care you can provide. One of the most effective options at your disposal when you are looking for exceptional healthcare providers is medical staffing in Oklahoma. Through these services, we are able to direct professionals that meet your criteria straight to you. This ensures that the right professionals not only get the work they are looking for but also you are getting a healthcare provider who knows what they are doing. Depending on the kind of position you have an opening for, it is important to find someone who has the appropriate level of experience. Experience can make or break the quality of care you are providing. However, it is also important to know that you can train someone to meet the requirements but if the health of someone is in their direct hands, you will want to find someone with the proper qualifications. This is something that we can assist with through our nurse staffing in California. It is one thing to hire someone who has the experience and skill to get the job done and another to hire someone who has a good attitude. Generally, it is much better to hire someone with lesser experience but with a good attitude. These individuals are more passionate and caring to their patients and are willing to learn. Someone with a poor attitude can bring down the performance of everyone around them and reduce the quality of care your patients are receiving. We can help find you passionate candidates through our medical staffing solutions in New York. Those are just a few of the many factors that you will want to keep in mind when it comes down to finding exceptional staff. If you would like to find out more about this or if you are interested in our certified nursing assistants in Texas please feel free to get in touch with Network Medical Staffing for more information. This entry was posted in Medical Staffing and tagged Healthcare Facility, Medical Professional, Staffing Services. Bookmark the permalink.